These simple and easy 8-ingredient Healthy Homemade Animal Crackers are the ultimate snack! They’re so simple, yet so addicting. They’re not overly sweet, but you’ll keep coming back for more. 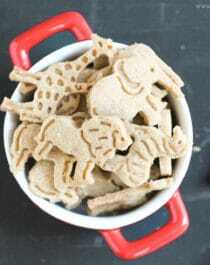 You’d never know these DIY Animal Crackers are whole grain, gluten free, sugar free, dairy free, and vegan! They sure don’t taste like it. Enriched Flour, High Fructose Corn Syrup, Sugar, Soybean Oil, Yellow Corn Flour, Partially Hydrogenated Cottonseed Oil, Calcium Carbonate, Baking Soda, Salt, Soy Lecithin, Artificial Flavor. First of all, we’ve got “enriched flour,” which is basically flour that is stripped of its nutrients and then bleached. Then we’ve got both high-fructose corn syrup and sugar, which are highly refined, high calorie, high glycemic, and contain no nutritional value. Next we’ve got hydrogenated oil (aka trans fat). 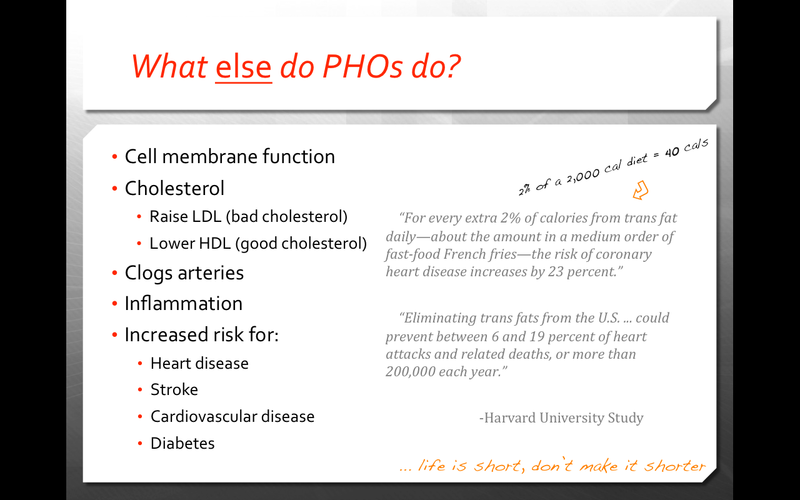 Don’t even get me started on the dangers of hydrogenated oil. Finally, we’ve got artificial flavor. Because a synthetic flavoring made by some scientist is so necessary (can you sense my sarcasm?). Okay, rant over. Because now we’ve got these Healthy Homemade Animal Crackers so snack on! These cute little crackers are whole grain (no enriched flour here! ), sugar free (no high-fructose corn syrup or white sugar whatsoever), and all natural (because no ingredients designed in a lab belong in our food). I swapped the white flour + corn flour with oat flour + homemade corn flour (by grinding up organic corn flakes). I swapped the high-fructose corn syrup + sugar with all-natural granulated erythritol + organic stevia extract. I swapped the soybean oil + hydrogenated oil with coconut oil. I swapped the artificial flavor with all natural, homemade vanilla extract. 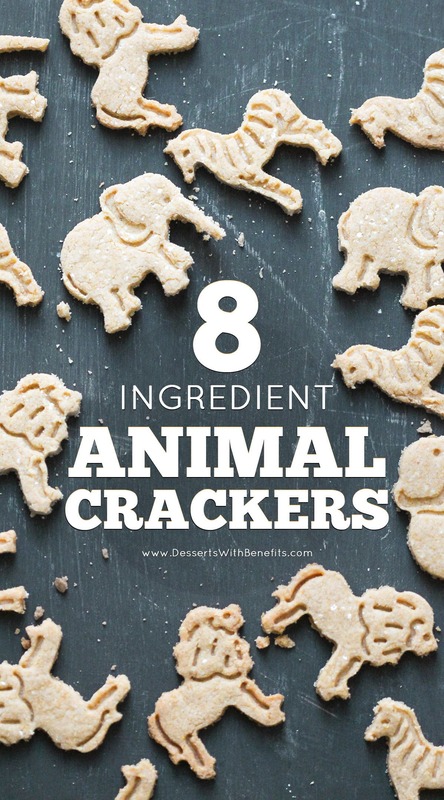 These simple and easy 8-ingredient Animal Crackers are the ultimate snack. You’d never know they're whole grain, gluten free, sugar free, dairy free, and vegan! Preheat your oven to 350 degrees Fahrenheit and line 2 cookie sheets with parchment paper. In a small bowl, whisk together the oat flour, ground corn flakes (should be ~3 cups of corn flakes before grinding), erythritol, baking powder, and salt. Dump the dry ingredients into the stand mixer and mix until completely mixed (it should be slightly crumbly, but if you grab a handful, it should easily compact into a ball). Roll ⅓ of the dough in between two silicone baking sheets until ~¼" thick. Use animal cookie cutters to punch shapes into the dough, then push them out of the cutters onto the prepared cookie sheets. Keep re-rolling the dough until all the dough is used up. Bake for ~11 minutes, or until the cookies are golden brown. Let cool on the pan. Serve and enjoy! Keeps for ~5 days. the animal cookie cutters you referenced send you to animal cookies on Amazon, not the actual cookie cutters. Can the coconut oil be subbed for anything else? What can you use in place of the corn flakes? I don’t use corn products. I haven’t tried subbing the corn flakes here so I’m not sure. I guess you could try their brown rice crispy cereal? If I wanted to make these chocolate animal crackers, what changes would I need to make to the recipe. Also where do I find the Granulated Erythritol? I wouldn’t recommend almond flour or coconut flour here because they don’t bind as well as oat flour. Pingback: Are Animal Crackers Vegan? The Delightful Answer You Crave!